A soup XL attachment with an extra large foot and a plastic masher will allow you to make delicious soups and smooth mashes right in a pan without a risk of damaging its coating. A bit inconvenient speed dial. 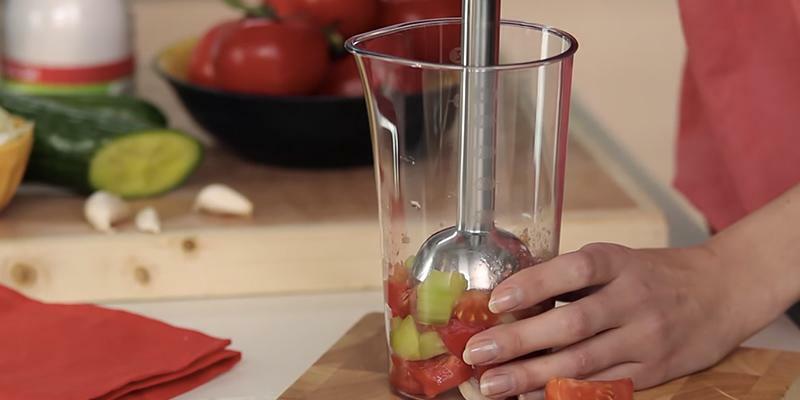 Thanks to the unique Triblade system created for enhanced blending, this incredibly functional and versatile hand blender will ensure perfect mixing, chopping or mashing results quickly and effortlessly. 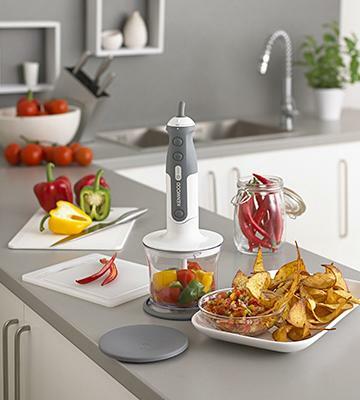 Blend your way into an ideal meal with Kenwood! Owing to the one-of-the-kind PowerBell technology, you can mix and blend soft and hard ingredients together with almost no efforts and avoid foods sticking to the attachment. Plastic body might slip out of wet hands. 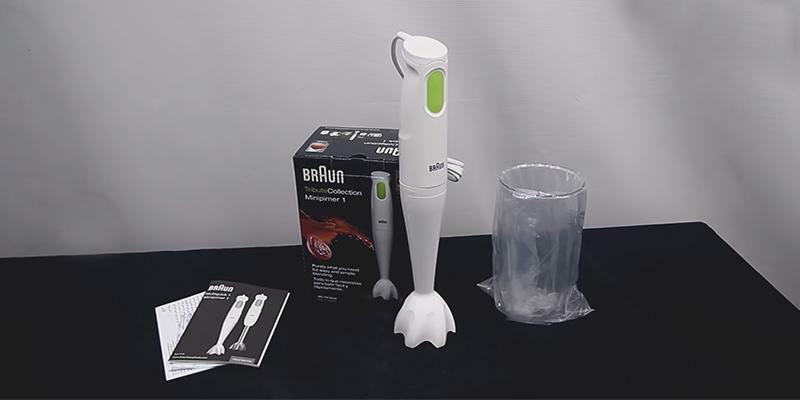 One-touch operated Braun hand blender, being pretty small in size, offers outstanding performance characteristics to ensure that you always have consistent blending results. On top, there is a handy hanging loop to hang your blender onto a wall hook for a compact storage and save some precious kitchen space. A real catch for small kitchens. A simple yet performing, functional, and durable hand blender from a world-known brand will definitely add to any kitchen arsenal and allow you to enjoy tasty dishes and handle even the most challenging recipes. For your choice, the model is available with a plastic attachment. The unique shape and design of сhop attachment blades allows for mixing ingredients of various sizes and consistency, and makes it possible to get an ideally whipped mass in just a couple of seconds. The 0.5-liter beaker capacity is not enough for mixing a large amount of food at a time. This hand mixer by Russell Hobbs can make your cooking experience much more enjoyable, allowing you to blend most of soft and hard ingredients to the desired smoothness. The mixer was built with quality and a user's comfort in mind. 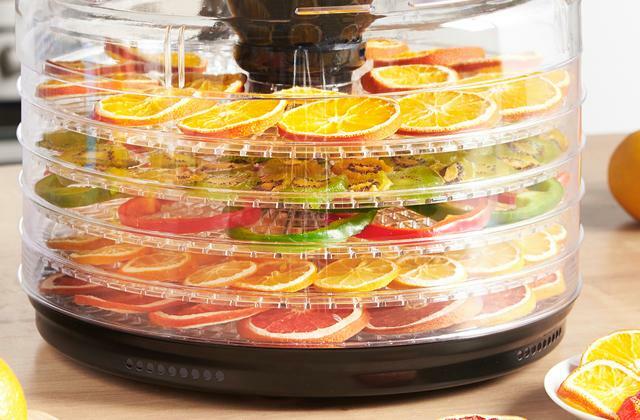 A food processor bowl attachment with razor-sharp blades is carefully designed to easily and effortlessly chop even frozen fruit and vegs as well as leafy greens and nuts. A glossy stainless steel coating is prone to scratches. 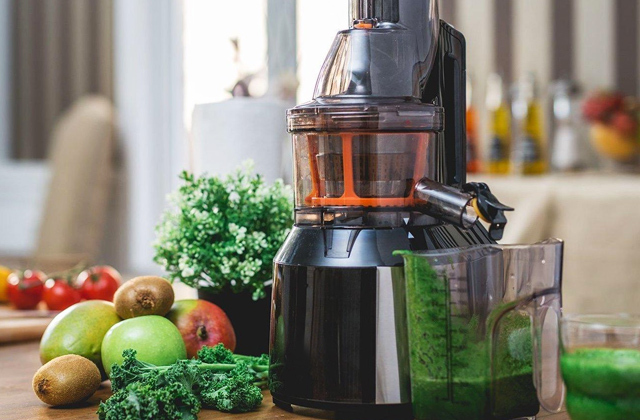 With a super sleek and sturdy blender from Andrew James offering an impressive range of attachments, you can chop, blend, whizz, and whisk almost any ingredients. Take out the strains of your cooking tasks and diversify your everyday diet with lip-smacking healthy dishes! 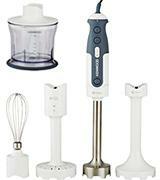 Once you see the Kenwood HDP406 hand blender, you'll be impressed and delighted with its amazing arsenal of attachments. A standard blender attachment of stainless steel features a patented Triblade™ technology and is extremely efficient. Its razor-sharp angled blades reduce suction, prevent splashing and food sticking, while special castellations maximise cutting action. Next, there is an extra large soup attachment and a plastic masher for perfect cream soups with a fine texture and ideal smooth mashes. Made of plastic, these attachments can be used right in a pan since plastic is absolutely safe for any coating, including a non-stick coating. More than this, a balloon whisk coming in the set allows whisking fluffy creams, airy egg whites, and delicate batters while a 0.5-litre chopper easily chops ingredients in mere seconds. It is worth mentioning that a 0.75-liter beaker can be used not only as a measuring and mixing bowl but also as a storage container to store the food in the fridge covered with an air-tight lid. To cut a long story short, you will hardly find a single flaw among numerous benefits of this model. It is an optimal kitchen helper that is considered one of the most functional and versatile on the modern market. 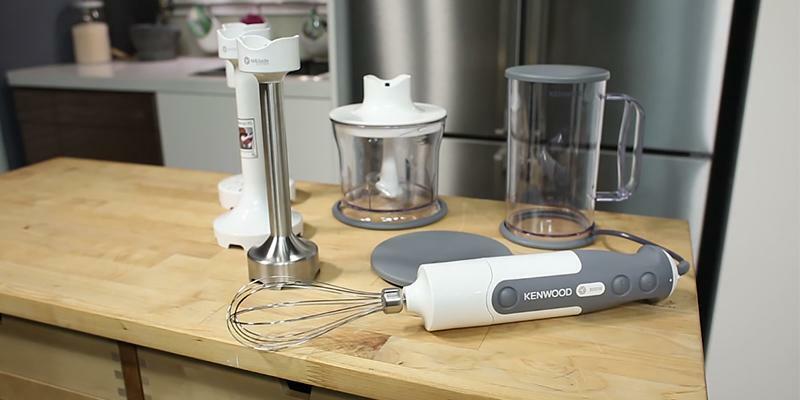 Kenwood is always synonymous with quality and robustness that would not go amiss in any kitchen! If you spend your day commuting around the city and have no spare minute for a substantial lunch in a cafe, canteen or restaurant, you will definitely appreciate having a lunch box. With handy and convenient lunch boxes, you can forget about fatty and high-calorie snacks in favour of healthy food. 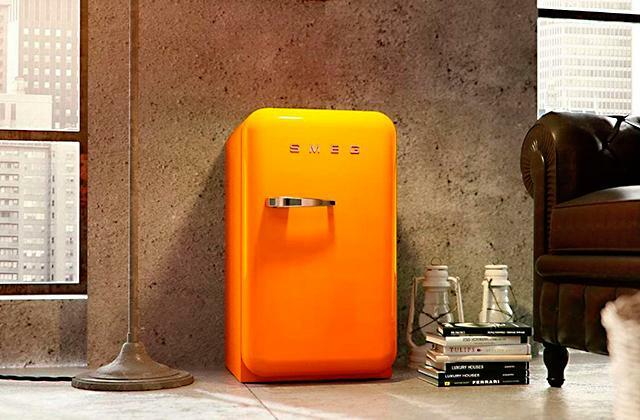 It is commonly believed that a powerful kitchen appliance should be rather bulky and heavy. Otherwise, it won't be efficient. Well, Braun presents a kitchen gadget to break this misconception and prove the opposite. Despite its compact size, the Braun hand blender will truly strike you with its powerful performance and perfect blending results. Such impressive performance characteristics are ensured by a 450-watt motor and an unmatched Braun PowerBell™ technology offering a number of functional benefits. First, the blades are made of ultra-hard stainless steel and angled to reduce suction and skip food sticking. Next, a unique floral bell attachment is designed to blend even hard ingredients quickly and efficiently and prevent splashes. 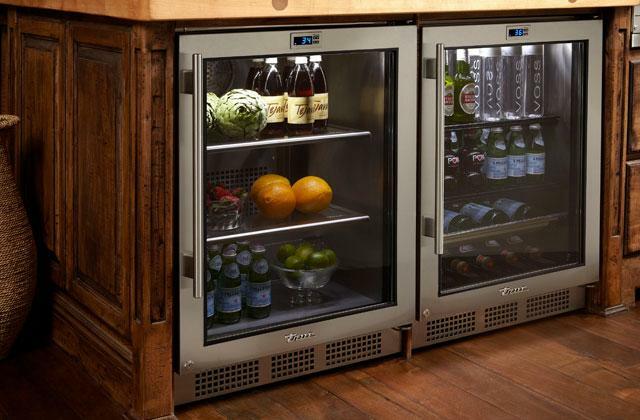 On top of that, a compact size will ensure easy handling and convenient storage. It will find its place even in a tiny kitchen. 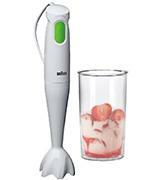 This immaculate hand blender from Braun offers a great combo of compactness and unparalleled performance. It is not a secret that tastes differ, but everyone likes delicious food and finely cooked meals. And that is what the Braun blender is meant for! 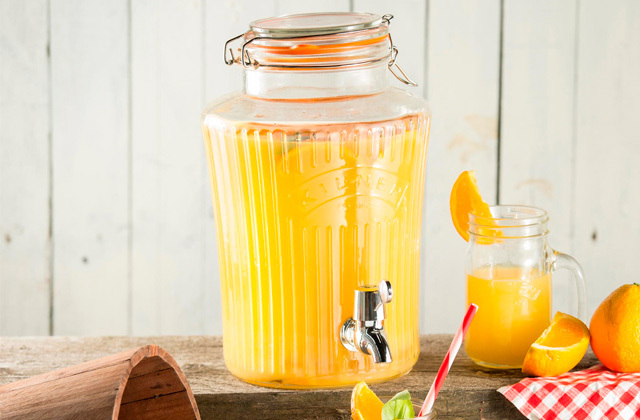 All fans of freshly squeezed citrus juices will never pass by citrus juicers. Get your morning glass of orange, grapefruit or mandarin and lime juice and enjoy refreshing citrus lusciousness full of vitamins. 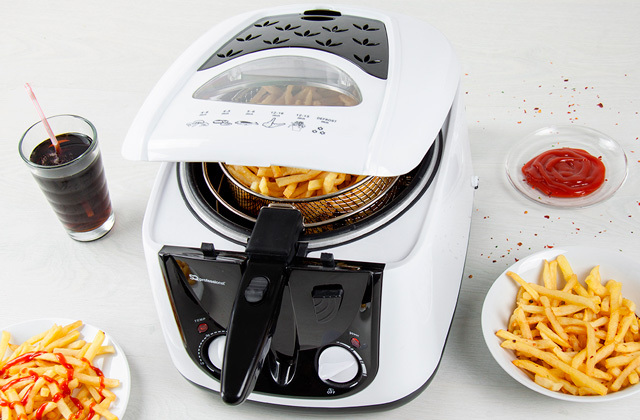 When it comes to Tefal, it is always about outstanding quality, usability, and great performance. 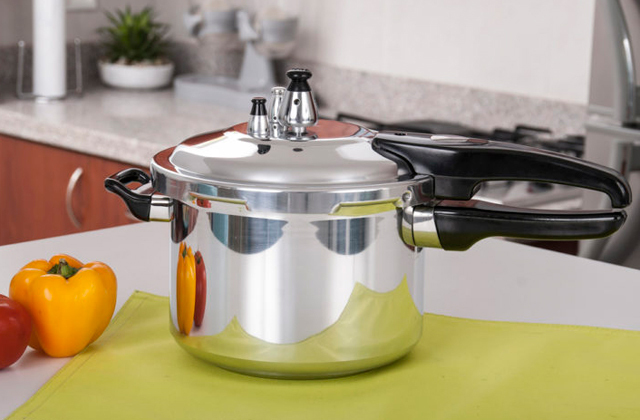 This manufacturer cares not only about impressing its users with efficient results of kitchen gadgets but also about making the cooking process enjoyable. Well, the Tefal Turbomix handheld blender is not and exception. An ergonomic body with a convenient secure grip ensures ultimate control while blending, pulverising or liquefying ingredients, and a control button is placed right under your pointer for easy and comfortable use. A plastic beaker boasts a rather generous capacity of 800 ml, enough for making your favourite soups, dips, creams, and sauces. In case you want to make an energetic smoothie, refreshing cocktail or sweet milkshake, the beaker has a spout for a spill-free pouring. For a compact storage when not in use this blender features a hanging loop to save precious kitchen space and hang the gadget onto a wall hook. An outstanding option for small kitchens and studios where you can not afford an array of bulky kitchen appliances. Though it looks simple and has only one speed, the Tefal blender will cater to all your needs and meet all your culinary requirements. It keeps up with all modern technologies to enable high-quality food preparation adding speed and efficiency to your culinary endeavours! Two kitchenware items no kitchen can do without are chef knives and cutting boards. These are must-have kitchen tools whether you make a salad, dress meat, split fish or slice appetisers for a festive dinner. The Russell Hobbs 18980 hand blender provides enough mixing power for most of blending, pulping, and pureeing tasks. It has two speed settings: low and high, so you can choose the optimal one for the tasks you've got at hand. 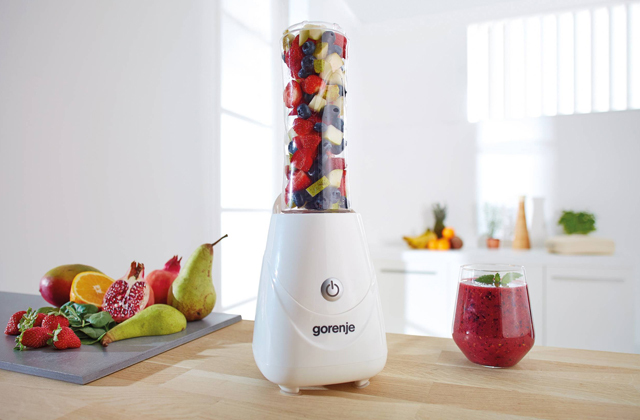 Though this blender doesn't have a lot of attachments, you will find all those essential for most basic needs. 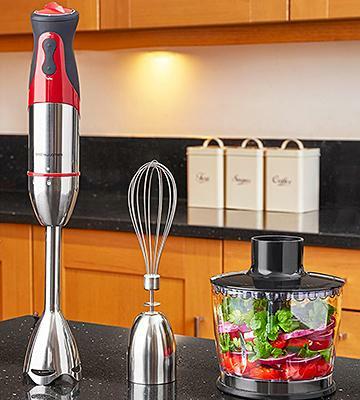 The kit includes a stainless steel balloon whisk for making smooth drinks, velvety mousses, omelettes, meringues, and batters, and comes with a 500-ml chopper attachment and a beaker so you can also make sauces, soups, and creams. 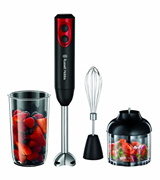 When it comes to design of the Russell Hobbs 18980, it doesn't look much different from most of other hand blenders you can find on the market, except that its body is coloured black with some accents of red. Cleaning it is simple. It is enough to wipe it clean with a damp cloth. All other attachments from the kit are dishwasher-safe. Although there are many more powerful hand blenders presented on the market, the Russell Hobbs 18980 is still good for what it is. If you don't look for immense power and need a simple blender with a few attachments at a low price, this model will be your best choice. With the Andrew James 3-in-1 Hand Blender in your kitchen arsenal, you can enjoy the whole myriad of culinary masterpieces from an array of soups, dips, sauces, and smoothies to a variety of delicious pastries made of gently soft dough, pancakes, mousses and souffle. 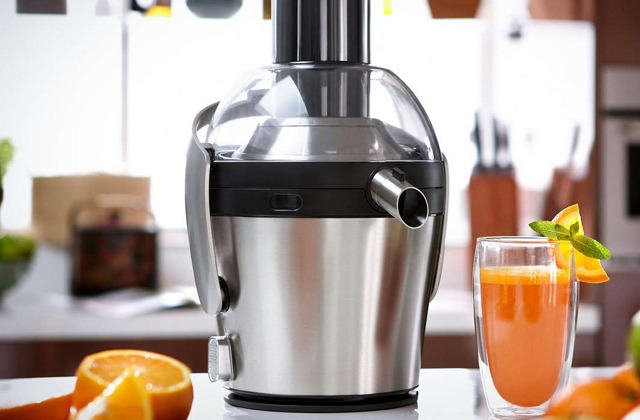 A powerful yet low-noise 700-watt motor allows efficient mixing and blending even with the hardest ingredients, and 5 speeds along with a turbo option ensure a rich velvety consistency. 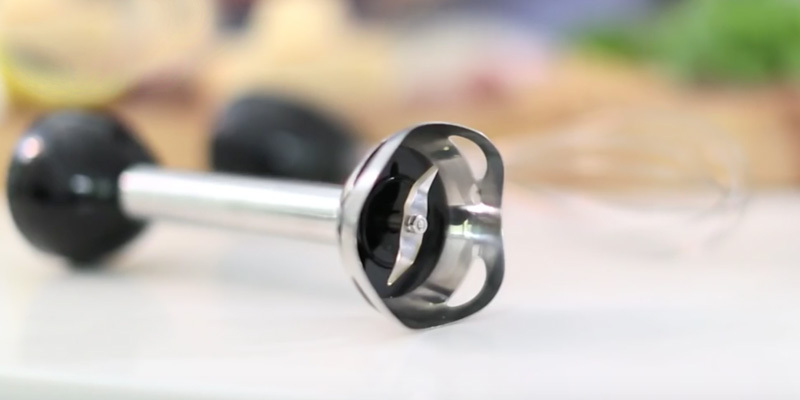 Extremely sharp and strong stainless steel blades can effortlessly chop and blend fruit, vegetables, nuts, beans, and greens to your favourite salsa, pesto, houmous or guacamole. Besides, a high-quality whisk will save you the trouble of hand whipping creamy concoctions. As for usability and sturdiness, this ingenious gadget from Andrew James is not inferior to more popular brands. 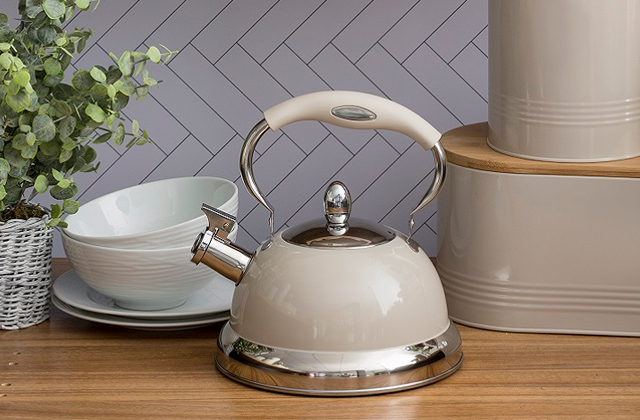 You'll be enamoured with its stylish chrome-and-red design that will look great in any kitchen. Meanwhile, a rubberized handle ensures a secure grip and a splash guard protects from food splatter contributing to the unit safe and mess-free use. For your complete peace of mind, the food processor bowl and beaker are made of BPA-free plastic. Do we need to say more? This is a fantastic kitchen appliance that will make your kitchen tasks easier and more enjoyable. Finally, you will benefit from a simple and hassle-free blender cleaning. 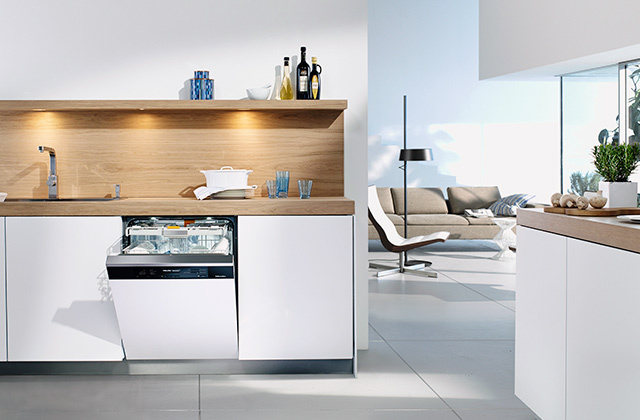 All detachable elements can be easily washed in a countertop dishwasher. A good dishwasher detergent will help avoid stains and spots. 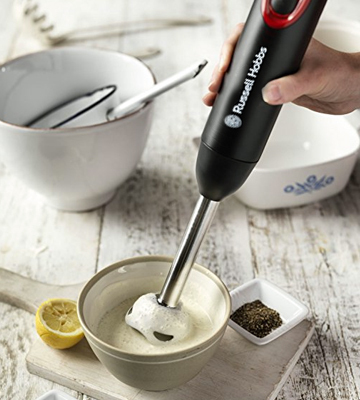 A hand blender is a compact and lightweight unit which can be stored in any cupboard. With one of these great sets, you can perform different actions: grind vegetables and nuts, whip cream, mix the ingredients for a cocktail, turn meat into a stuffing and so on. What is more, this useful device can come with different attachments. Our review will help you choose a suitable handheld blender to your preferences. However, if you want to shred more solid ingredients, you should pay attention to countertop blenders. These two concepts are linked very closely. A functionality of this device largely depends on attachments that come in the box. It can feature a whisk attachment for dough (which can replace a mixer), or an attachment to cut ingredients into cubes to make salads and soups preparation an easy breeze task. A convenient chopping bowl will help you save time and chop the food directly in the bowl. The set can also come with different stainless-steel attachments for grating and shredding. The Number of Speeds is also a vital feature. Hand immersion blenders can offer from 1 to 24 different speeds. Switching between speeds is performed continuously or stepwise. A wide selection of speeds allows you to choose the most appropriate one for different foods. For example, you can start grinding meat at a low speed and then gradually increase it. Take note, if you want to whisk eggs in a small container, it is recommended to start with a low speed, because you can splatter everything. Thanks to the smooth speeds switching, you can accurately select an appropriate mode. Power is another essential choice factor. The more powerful your device is, the faster you will deal with food processing. You can hardly notice the time difference between hand blenders while beating up the eggs. But when you are cutting vegetables (onions, carrots etc.) 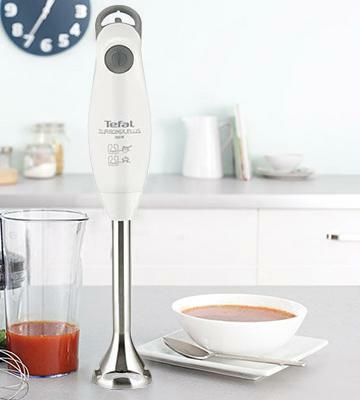 or cooking cream soup, you will notice that a powerful hand blender does it faster. 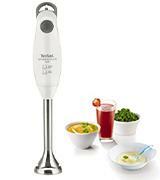 Therefore, the immersion blender with a low power will hardly handle frozen vegetables or minced meat. But owing to a fast pace of technological progress, there can be some exceptions to the rule. 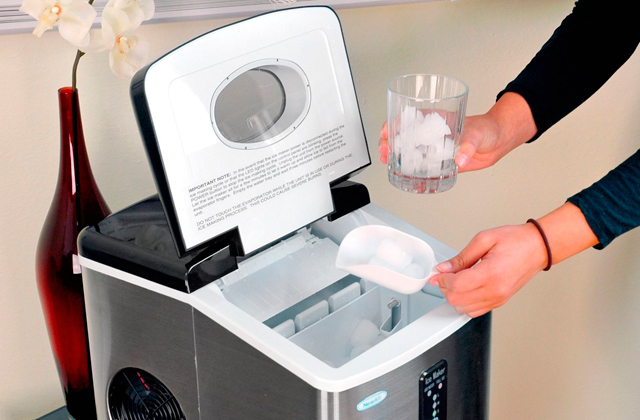 For example, a new advanced lithium-ion technology allows users to crush ice with the power indexed at 7 Watts only. The next thing you should pay attention to is Design and Construction. Blender body can be made of plastic or metal (stainless steel or aluminium). Models with a metal body are usually more expensive. Surely, metal units are usually stronger and more durable. However, the metal housing also makes a blender heavier, which may be not a very good feature because sometimes you need to hold it in your hands for a long period. Plastic covering is not bad if handled carefully. Moreover, rubber, elastic, and so-called soft-touch plastic anti-slip inserts on the body will become a great benefit! 1. Benefits of an Immersion Blender, DoItYourself.com. 2. 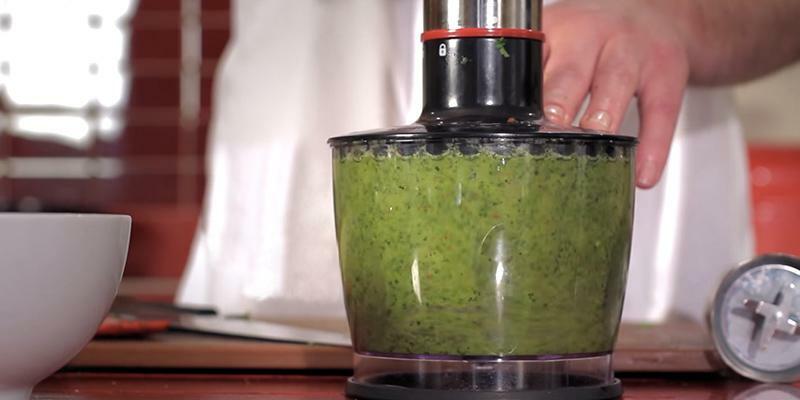 Kelli Foster 10 Smart Ways You Should Be Using Your Immersion Blender, Kitchn. November 4, 2015. 3. Immersion blender, Wikipedia. November 11, 2016. 4. 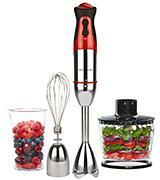 Jane Darling How to buy the best hand blender, Which? 5. Your Guide to Buying a Handheld Blender, eBay. March 3, 2016.